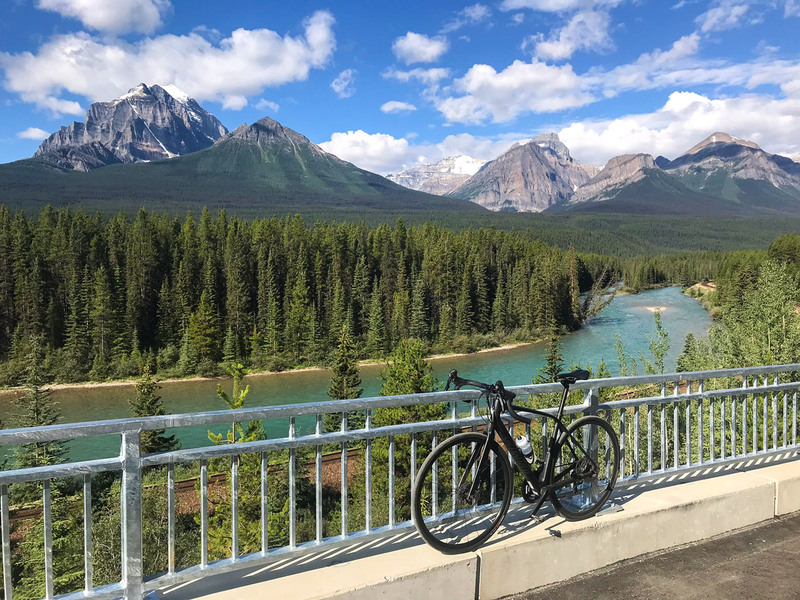 The bike ride from Banff to Lake Louise (and back) is a classic! 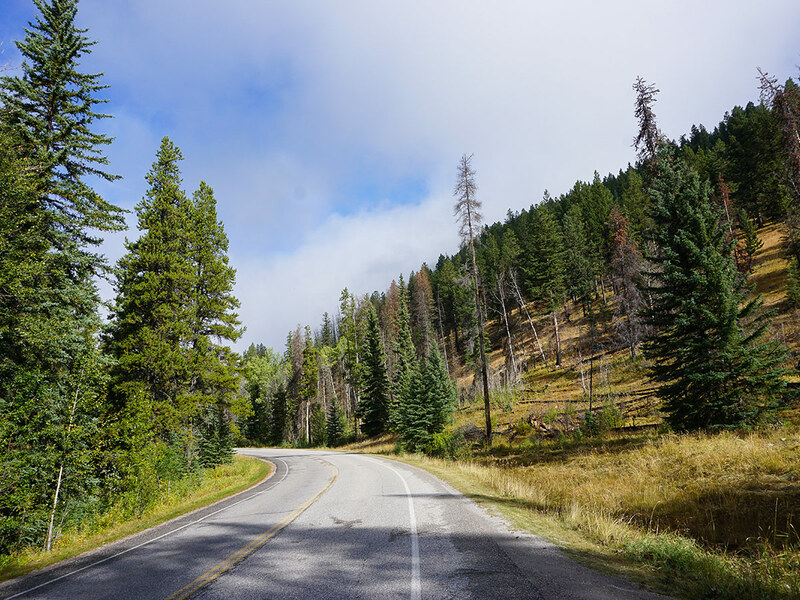 Ride along the Bow Valley Parkway, where traffic is slowed to 60.0km/hr and there isn’t too much traffic. 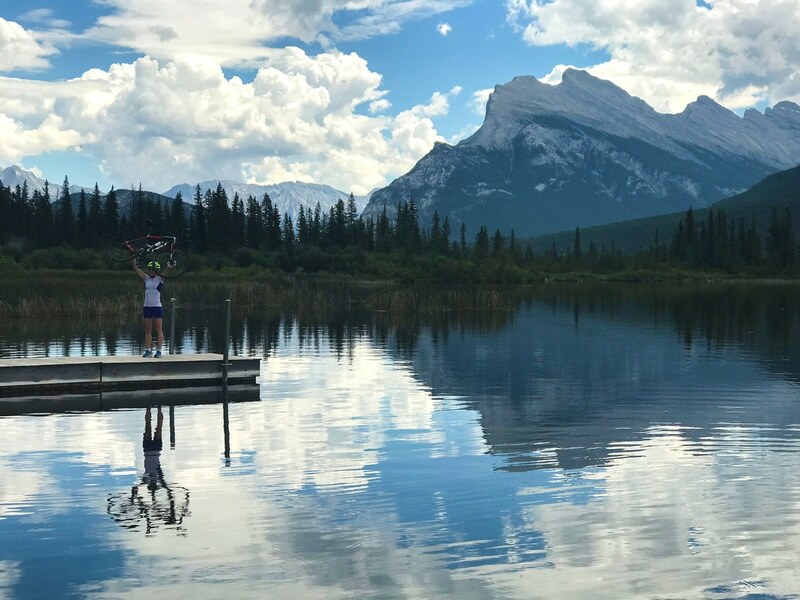 You can do this bike ride one-way by booking a taxi or arranging a car shuttle to Lake Louise and then riding downhill from Lake Louise back to Banff. 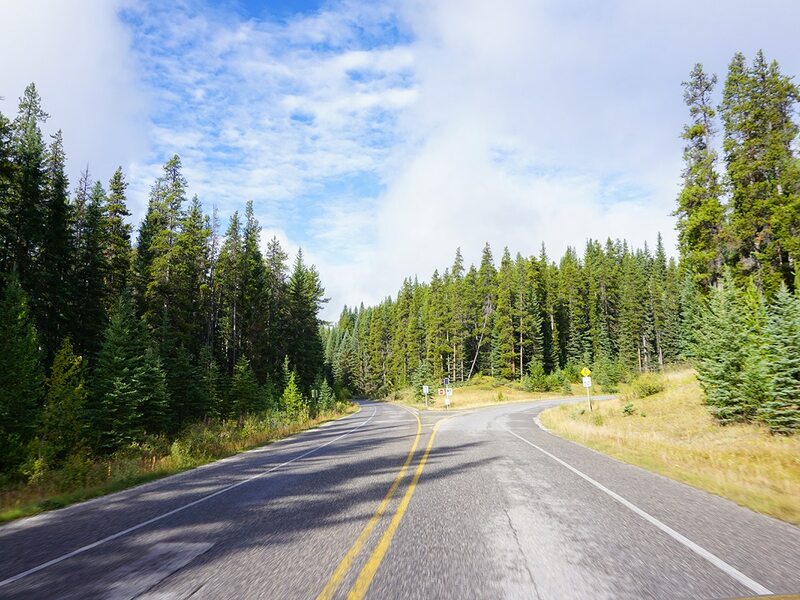 If choosing to complete the return trip, you can start anywhere in Banff or Lake Louise. We usually start on Banff Ave. In summer parking can be hard to find, so arrive early. 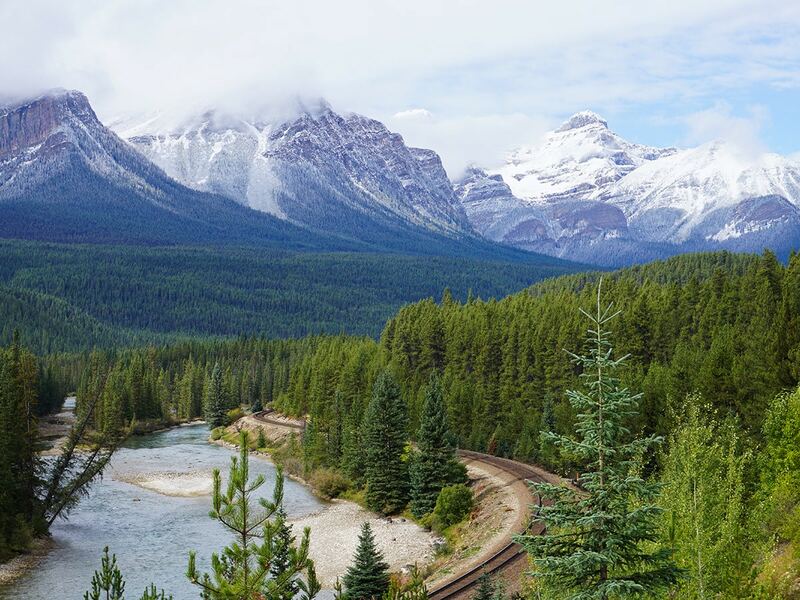 If going from Lake Louise to Banff, we suggest starting at Lake Louise Ski Hill, as there is abundant parking there. 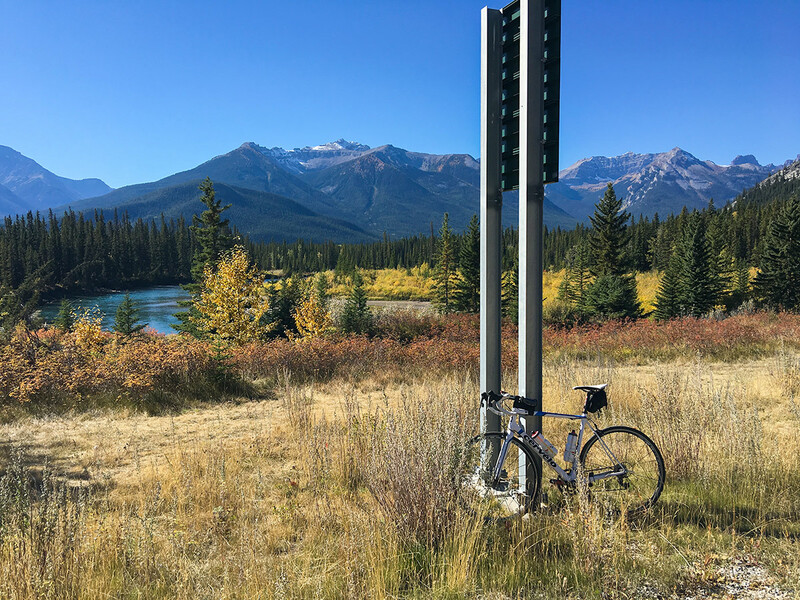 This is a classic bike ride in Banff National Park, and the last stage of the iconic Jasper to Banff cycling route. 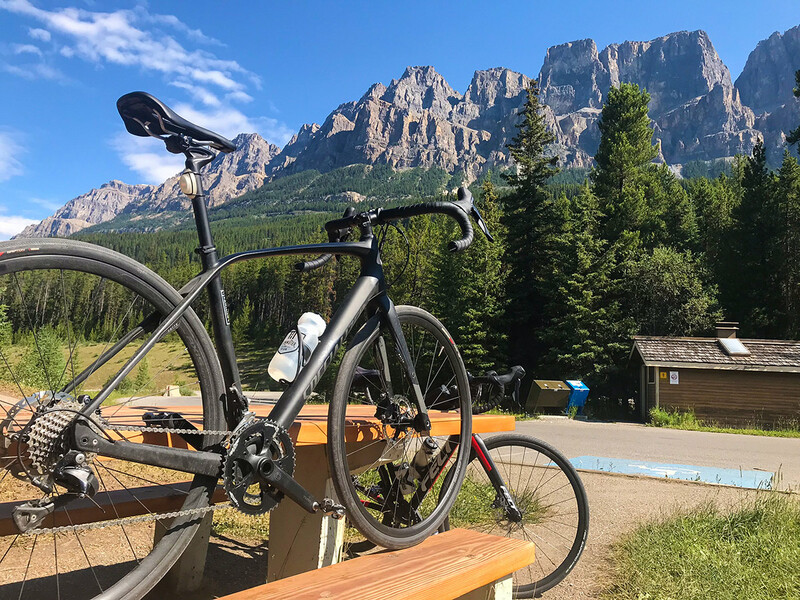 Not only do you get the great bike ride along the Bow Valley Parkway (highway 1A), but you also get to cruise along Vermilion Lakes Drive, which is a stunning bike ride. We love doing this as a daytrip riding out and back, with a good break at Lake Louise. 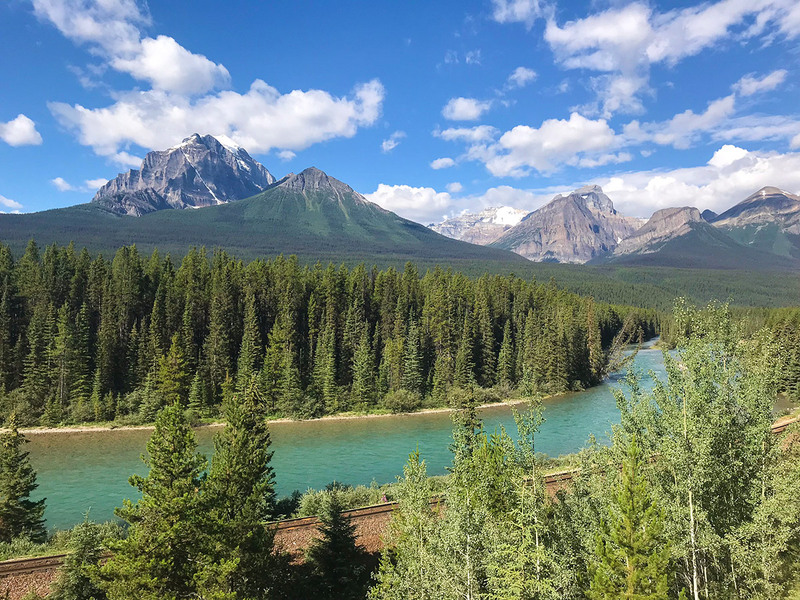 There are great ways to shorten this bike ride, either going one-way (we recommend Lake Louise to Banff as there is less elevation gain) or you can start at the Fireside parking lot (at the southern end of the Bow Valley Parkway) and only ride the Parkway. Starting at the Fireside parking lot makes this a roughly 100.0km ride. 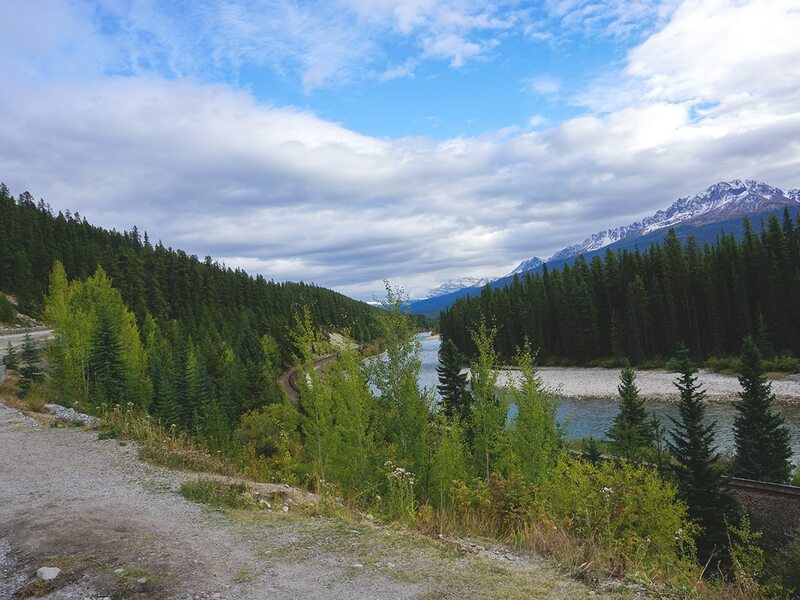 Below we give the full route description for riding from Banff to Lake Louise and back. 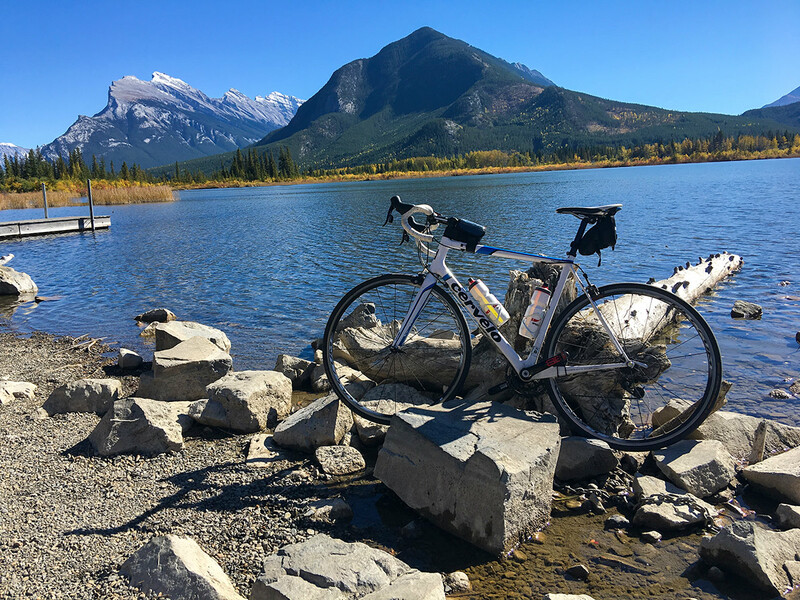 The hardest part of this bike ride could be finding parking if you’re not staying in Banff. We usually get there early and park in the parkade near Nester’s Market, at 122 Bear Street. This is right in central Banff and also allows us to pick up last minute snacks before we head out. Other parking options can be found on the Banff parking site. 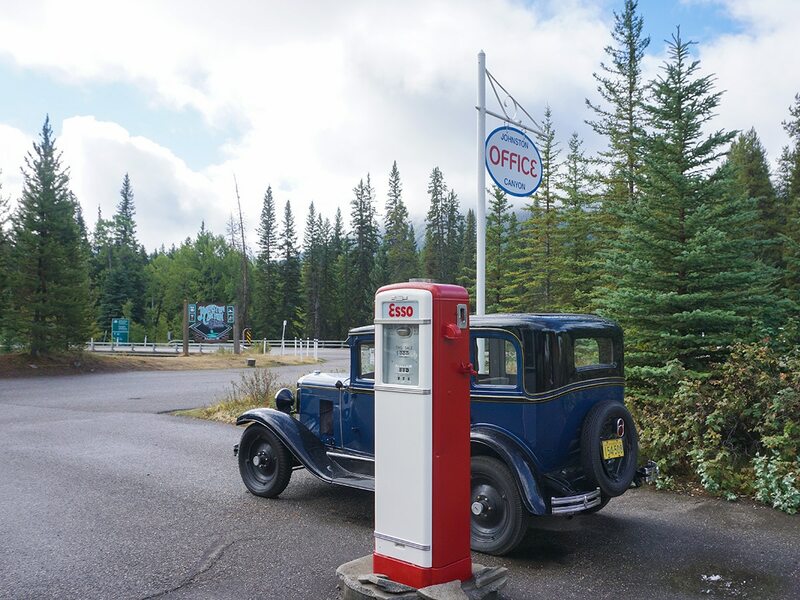 The Fenlands Parking lot is another great option, and is located on Norquay Road, near the Trans-Canada Highway. If you’re at Nester’s Market go right on Lynx Street, you’ll pass Banff Park Lodge and then a Petro Canada and Shell Gas Station. The road curves and turns into Gopher Street and you pass the Bus Station and then Railway Ave, where the road becomes Mount Norquay Road. You’ll also pass the Fenlands Parking Lot on your right. Soon after passing Fenlands Parking, you’ll see a road going to your left. 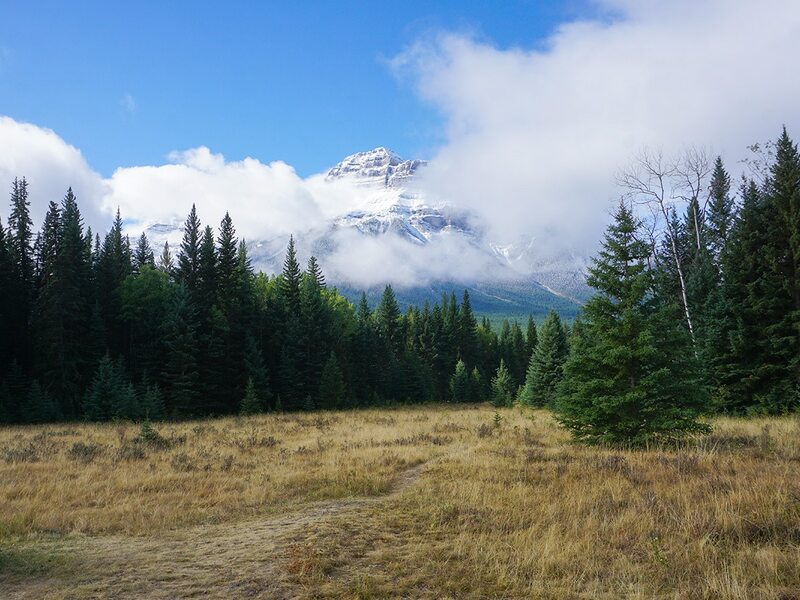 The first road is for a parking lot to access Fenland Trail and the second road is the one you want, and is signed for Vermilion Lakes. 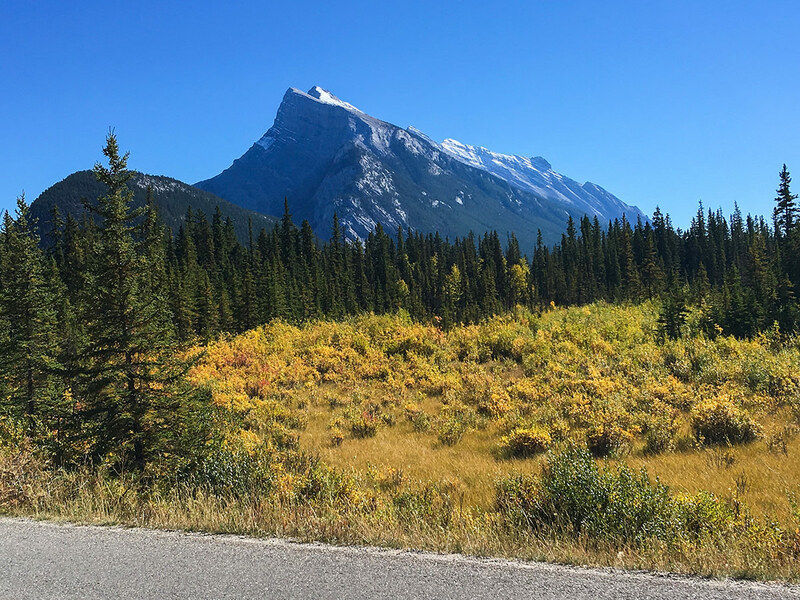 The Vermilion Lakes Road is 4.3km of spectacular views and you’ll have to stop a few times to take it all in. 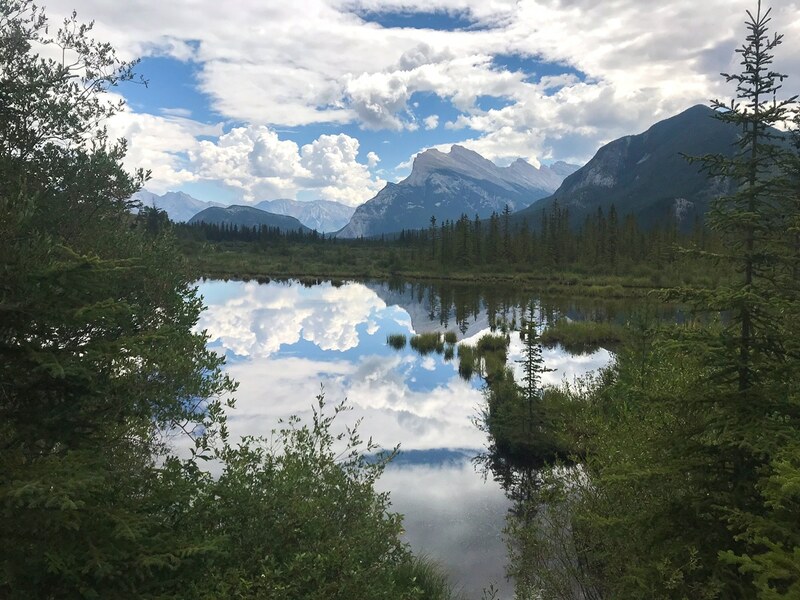 If you’ve started in the early morning on a calm day, you’ll be treated to the most incredible views of Mount Rundle and great reflections in the various Vermillion Lakes. 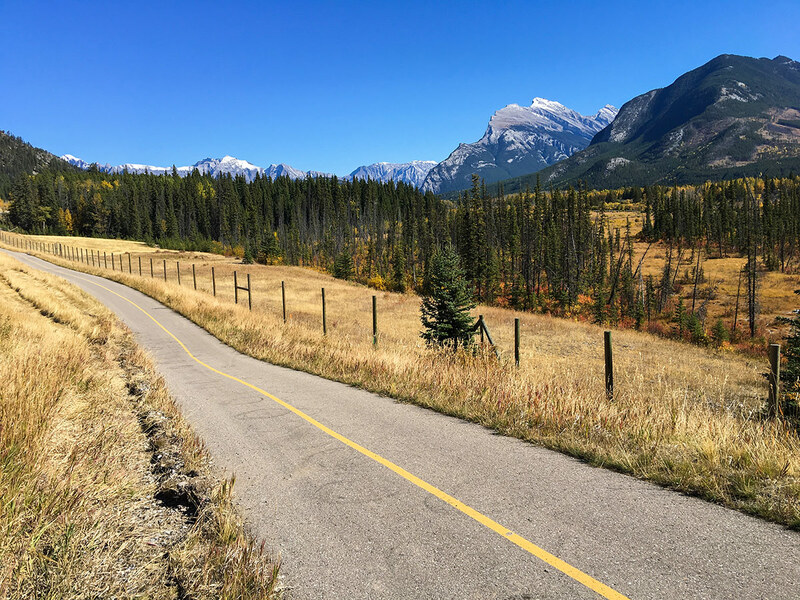 At the end of the Vermilion Lakes Road you’ll ride onto a bike path that winds its way through the trees, eventually linking up with the off-ramp for cars travelling the Bow Valley Parkway (1A). At this point, go left, under the Trans-Canada Highway. There are pretty views to the left of the Bow River. Soon you pass the turnoff for the Fireside Parking lot. You’re now on the Bow Valley Parkway. The next stage is the route to Castle Mountain. Follow the road for 12.3km until you come to a split in the road. This first 12.3km passes through an old controlled burn, where the plant-life and colours are spectacular. You are now on a one-way route for 5.7km, where you gain 84m and then descend 45m at the other end. 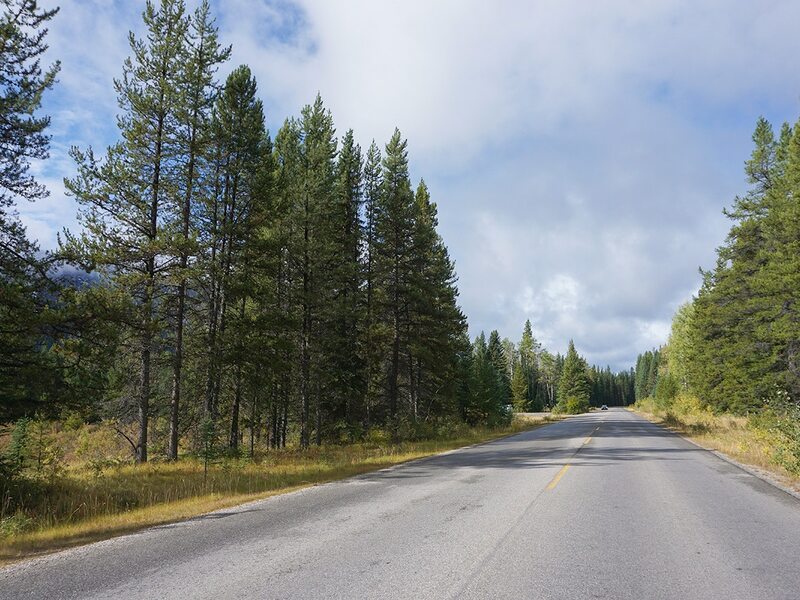 1.1km after the two roads re-join, you’ll pass Johnston Canyon, where you’ll likely see cars parked along the side of the road on your ride back later in the day. 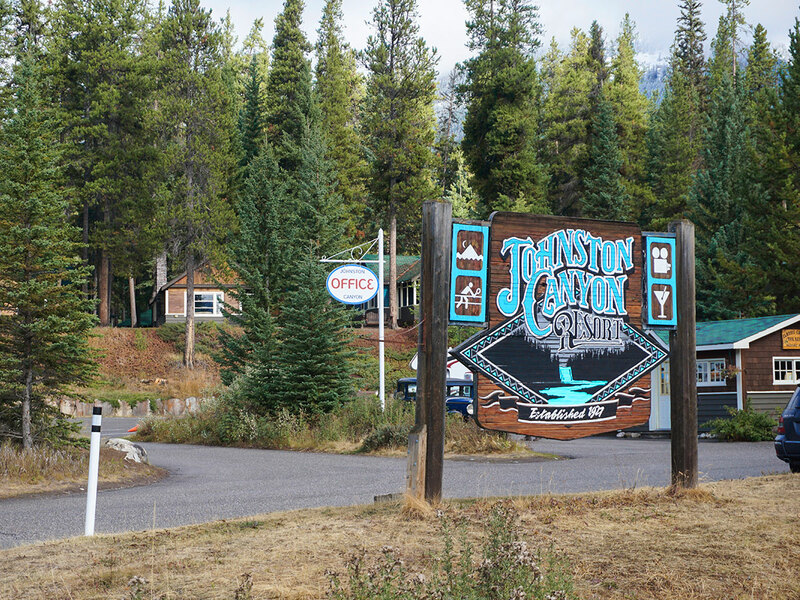 If you need a snack, you can head into Johnston Canyon Resort, where they have a café and a bistro. Otherwise continue on the road for another 6.3km and come to Castle Mountain Junction and the Castle Mountain General Store. The General Store has a variety of snacks, and great picnic tables to enjoy a break at. 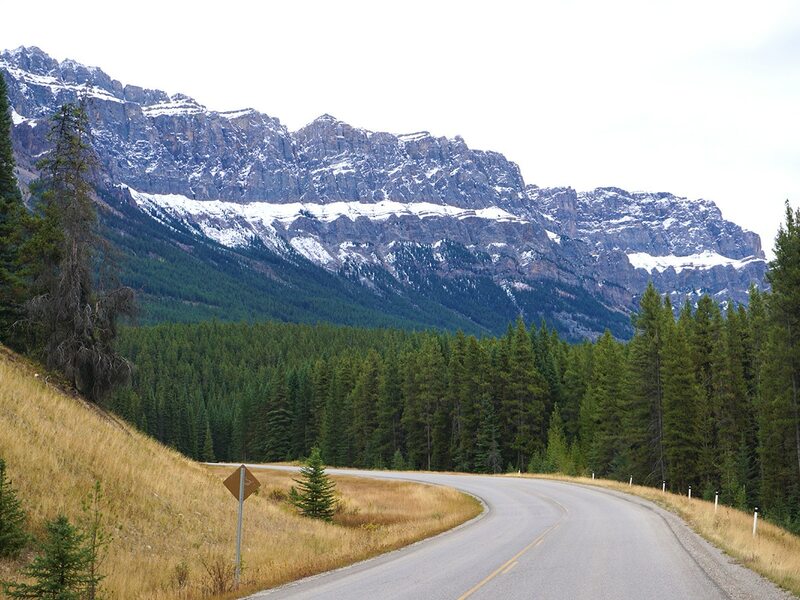 From Castle Mountain Junction, get back on the Bow Valley Parkway and ride 14.5km to Baker Creek Mountain Resort. Along the way, the route will separate again for a short stretch. 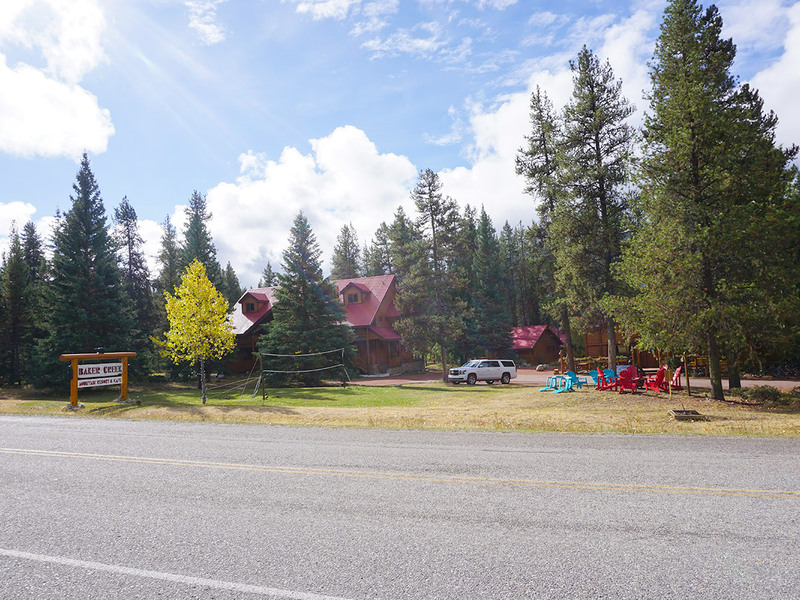 Baker Creek Mountain Resort is a charming series of log cabins and is well known in the valley for great food and being a very pleasant place to stay. 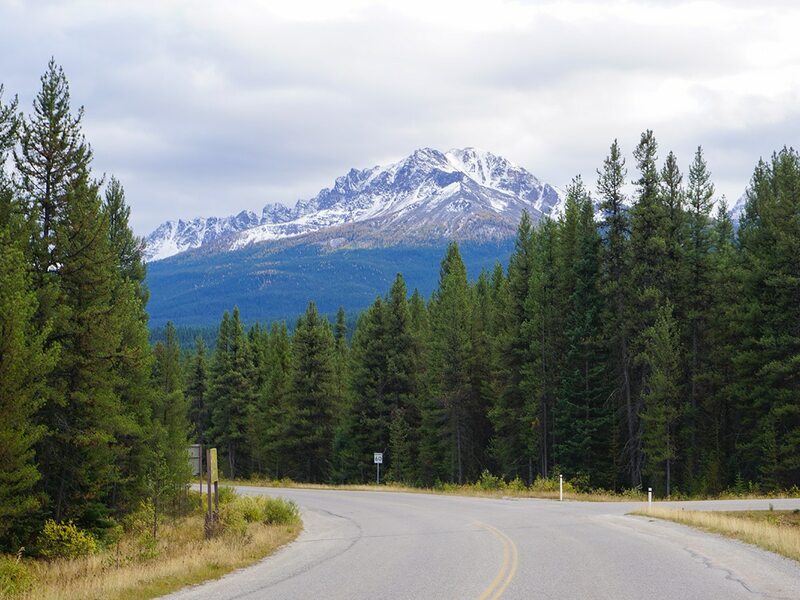 From Baker Creek, you have an 11.1km stretch that takes you on a nice descent down to the junction with Whitehorn Drive. 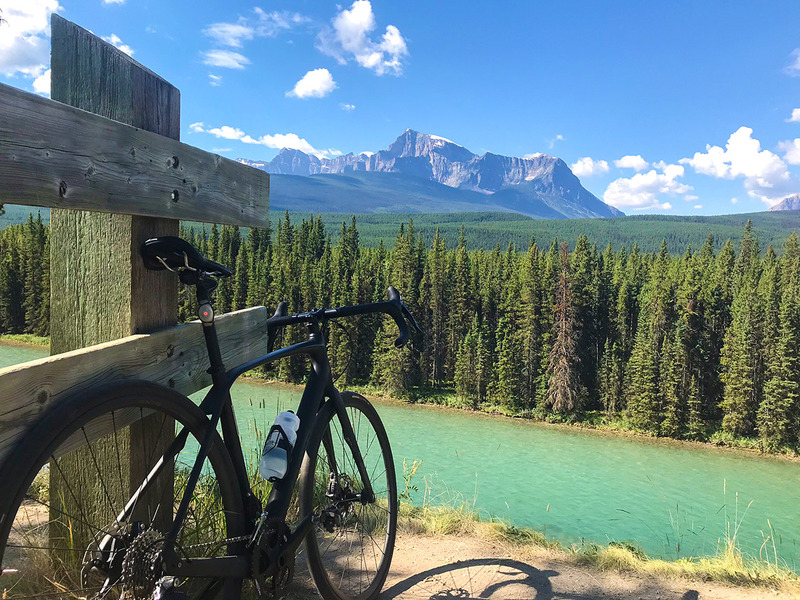 At Whitehorn drive we love to go right and ride for 2.0km with one last ascent to the Lake Louise Ski Hill. 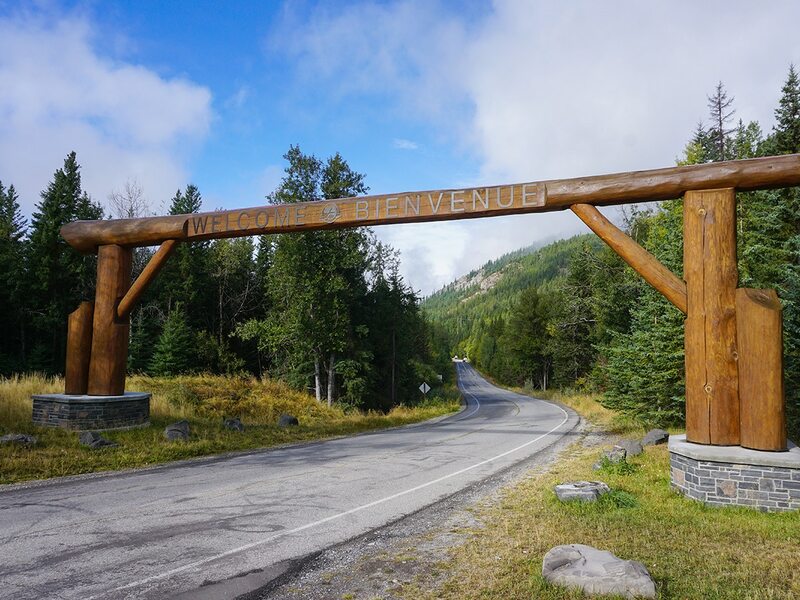 You can also go left and descend 1.1km to the chaos of the Lake Louise Village, though you will have to get across two sets of cattle gates (there is a pedestrian route beside the road that bypasses the cattle gates). After a good break in Lake Louise, continue back along the 1A. 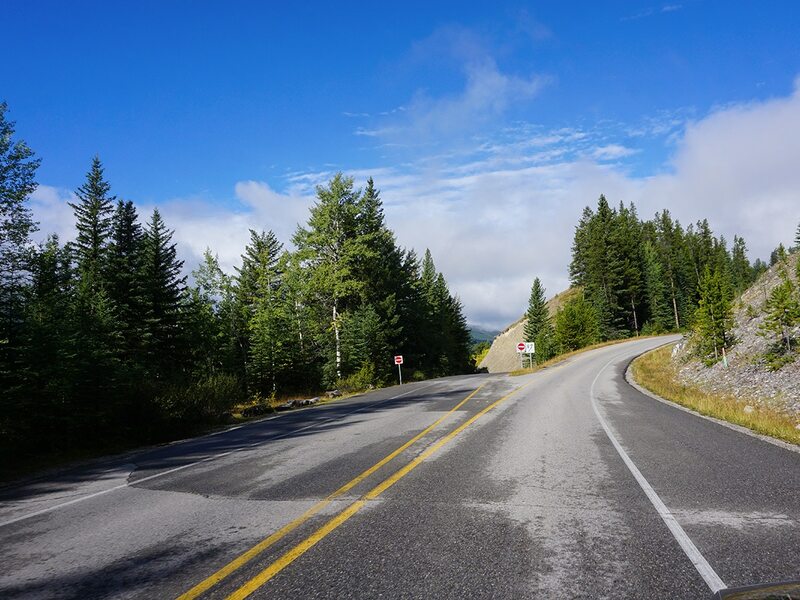 Point your bike south and pass Baker Creek Mountain Resort, Castle Mountain Junction and ride through to the end of the 1A. Cross under the Trans-Canada and get back onto the bike path as it winds through the forest to Vermilion Lakes Road. 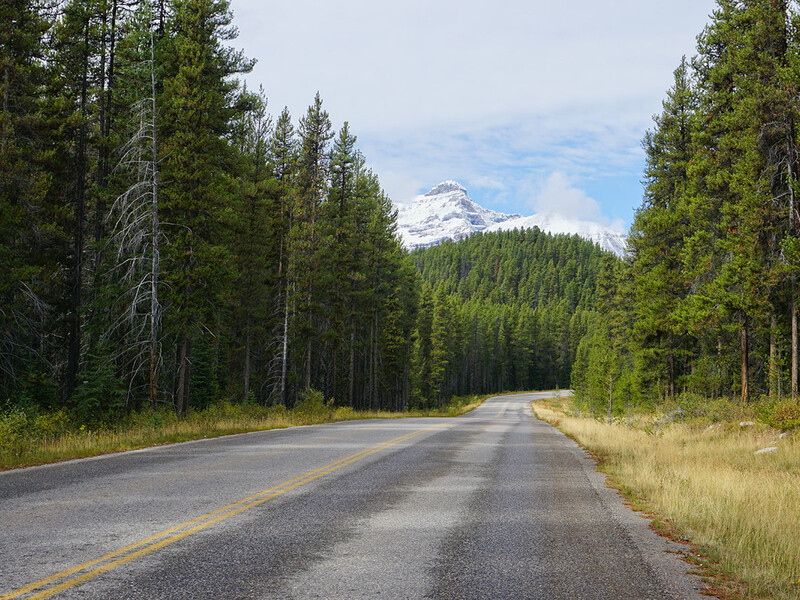 Once at the end of the Road, go right and head back into Banff. 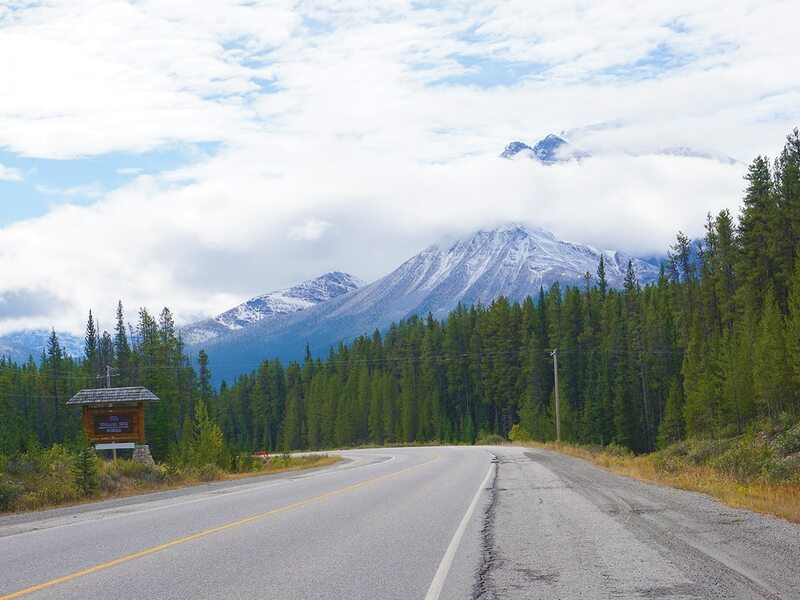 Congratulations, you have just completed one of the most epic road bike rides in Canada. 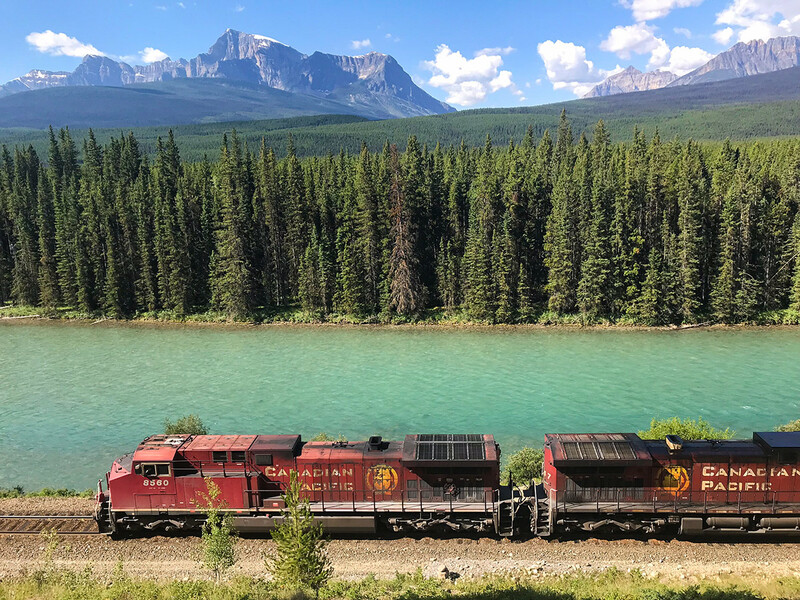 If you want to do this as a one-way trip, we suggest riding from Lake Louise to Banff, as there is less elevation gain. Taxi’s can take you and your bike to Lake Louise, but it’s not cheap. 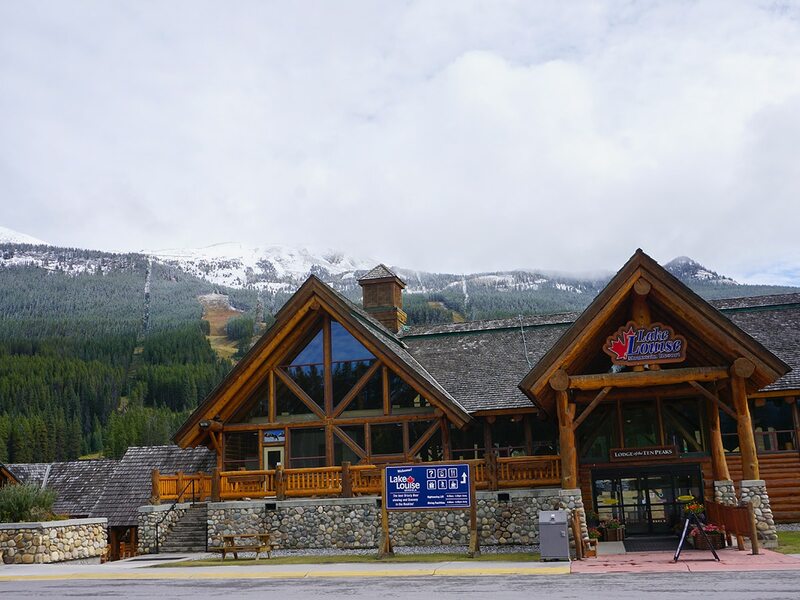 The great Roam bus service connects Banff and Lake Louise with five trips daily. They even have the ability to take bikes now.  Check out the Roam Bike policy to learn more. 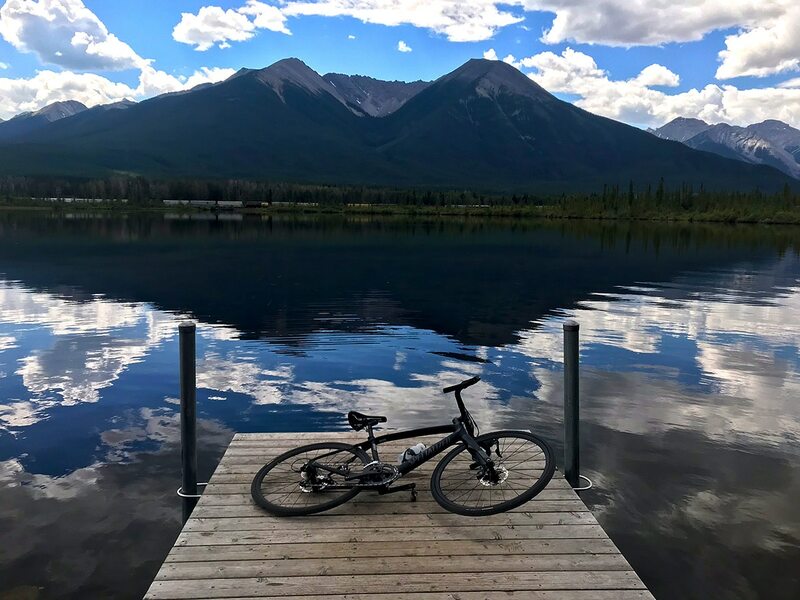 You can rent a bike at Banff Cycle, Snowtips-Backtrax or Ultimate Sports. 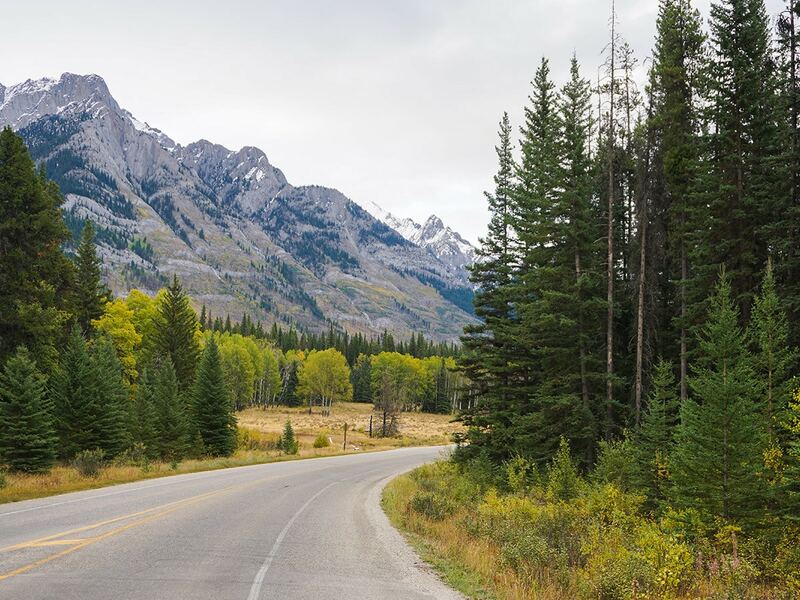 Once back in Banff, ditch your bike in your car and settle in for a feast at any of the wonderful local restaurants. If you only want to go Banff to Castle Junction and back it’s about 62.0km. If you want to go Lake Louise to Castle Junction and back it’s about 56.0km.